Friday Freebie Blog #6 - IFTTT A Digital Marketing Swiss Army Knife! From time to time we like to take two minutes to share a range of free resources, tools and apps that we have come across in our day to day work and thought we’d share. 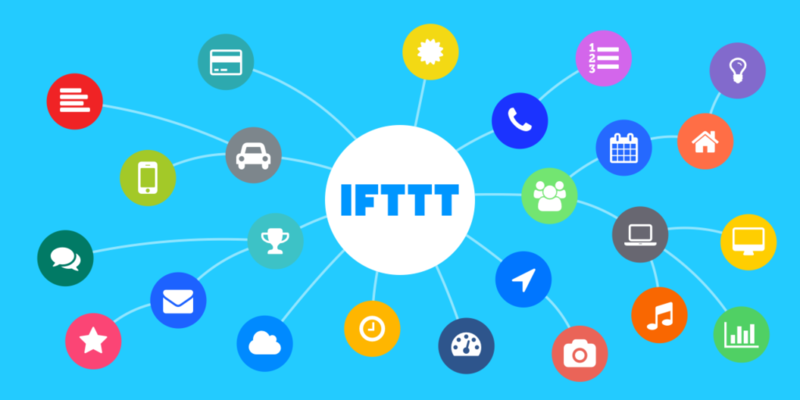 We have received no incentive or request to do so – these are just some tools that we use that you might find useful this week we are featuring an app called IFTTT! This week on the Friday Freebie slot we’ve got a really useful little tool that I recommend to clients time and time again (not least last week during our content marketing workshop with the Nene Valley team) for helping to make their digital marketing a little less of a daunting experience – IFTTT. IFTTT is a really useful little app that has been knocking around my marketing stack for a long time now. To give it its full title – If This Then That – the app allows users to join up all of their digital services to create really useful and helpful little workflows. …all of which can help you to save hours over the space of a month by not having to republish your content to multiple platforms multiple times. By setting up the right chain of activity within the app (all of which is controlled by a series of really intuitive wizards) you can simplify all of your social media in a few minutes. Maybe you want a tailored weather report based on the locations saved in your calendar for any given day? Maybe you’d find it useful to have all of your Instagram photos save to a dropbox folder? How helpful would it be if you could automatically collate all of your Google alerts into a handy to filter and navigate spreadsheet saved in your cloud storage folder of choice?! Let us know in the comments below how youve found new ways to use the app in your day to day work! In the meantime to see how we can maybe help give you a few eureka moments of your own – get in touch with us today!